Organiser: The contest is hosted by DIT University. Please contact p8107406332@gmail.com for any queries during the contest. 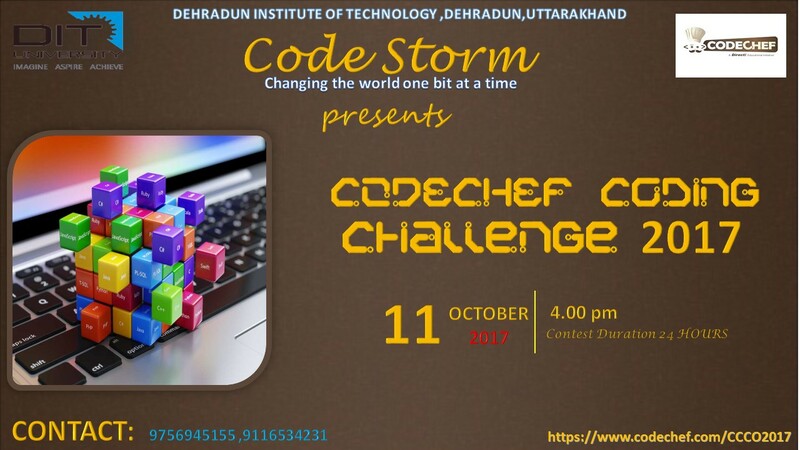 11th Oct, 2017, 16:00 HRS IST: All the problems of the contest have been released.